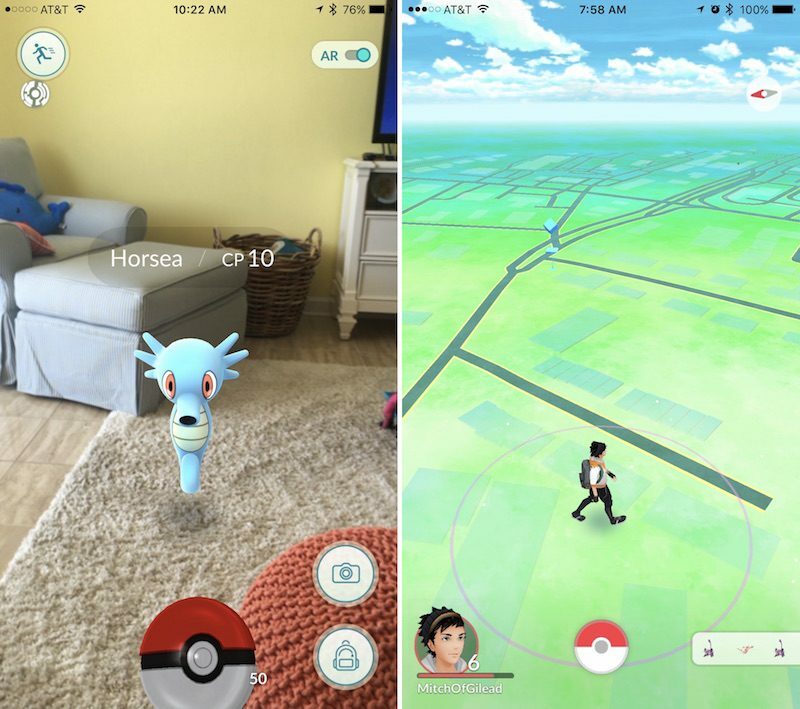 Although Nintendo, Niantic, and The Pokémon Company have a few good reasons to celebrate the launch of their new augmented reality mobile game Pokémon Go, a couple of incidents related to the game have already begun sprouting up over the past few days, bringing to light a few cautionary tales for everyone delving into the game. Because it requires players to travel to real-world destinations in order to stock up on Poké Balls, eggs, and potions, and compete at gyms, some individuals have been capitalizing on the game's mechanics to trap and rob its players. According to a Facebook post from the O'Fallon Police Department in Missouri, four people were arrested over the weekend after using a Lure Module at a PokéStop to draw in unsuspecting players and rob them at gunpoint. "Many of you have asked how the app was used to rob victims, the way we believe it was used is you can add a beacon to a pokestop to lure more players," the police department said in a statement on Facebook. "Apparently they were using the app to locate [people] standing around in the middle of a parking lot or whatever other location they were in." The Lure Modules work as ways to bait more Pokémon into showing up to any PokéStop for 30 minutes, and enhances the Stop's visibility to a glowing pink color when in use, so it's easy for other players nearby to notice. Due to this, other cities across the United States have reported Pokémon Go-related thefts since the game launched last week, including a few in Philadelphia. Other users playing the game have been lead to a few scary discoveries, including one woman who found a corpse while traveling to a PokéStop in Wyoming. Nineteen-year-old Shayla Wiggins jumped a fence to capture a nearby Pokémon, but instead discovered the dead body of a man who is believed to have drowned in the Big Wind River. According to the local police department, "There is no evidence at this time that would indicate foul play." Nintendo reminds users to be aware of their surroundings every time the app is opened, and a few states have issued specific warnings as well, but there have also been some driving-related incidents since the game launched. While Pokémon Go encourages players to strike off the beaten path to discover wild Pokémon nearby, most have discovered -- especially in cities where walking is inhibited -- that it's easy to idle past nearby PokéStops and Gyms, already leading to more than a handful of Pokémon Go-influenced accidents. Pokémon Go is still in its early stages, with Niantic promising continuous updates down the line to enhance player interactivity with the game thanks to the addition of social aspects like Pokémon trading. The company hasn't yet divulged when the first update will be hitting, however, since the app has yet to launch worldwide. Pokémon Go isn't considered one of Nintendo's official smartphone games, but it does appear to hint at a more popular staying power than Miitomo, which launched earlier in the year. Next up the company plans to debut apps related to the Fire Emblem and Animal Crossing franchises. I think it should be socially acceptable and encouraged, when approached by someone staring into their phone and being totally oblivious to their surrounding (not seeing you to politely move to the side so you can each pass each other), to slap the phone out of their hands and straight onto the pavement. Game seems goofy to me, but my 16 year old son has gotten more exercise chasing Pokemon all over town than he has in a long time. He told me that the running joke is that Pokemon Go has done more to get kids moving in 24 hours than Michele Obama was able to in the last eight years. Wow, didn't expect Team Rocket to be part of this game! I am not surprised. No joke, I was on my balcony yesterday and I see this guy walking all over the lot with his phone in this inches from his face...my guess is, he was playing Pokemon. Ridiculous. One guy? There are thousands of us playing. It's a great community. Stay safe everyone! It was difficult enough already to get kids to look up from their phones and avoid being run over or walk off a cliff. Now we have car drivers adding to the chaos. This beats out world of warcraft for the geekiest thing to do. But on the bright side this gets kids outside and out of their parents basement, so some progress there. I will break your jaw if you even tried to assault me or my property. 1. You're walking and glancing at your phone periodically. 2. During a periodic glance you bump into someone. 3. That person then slaps your phone out of your hands. 4. And then you break their jaw. We went from playing a game to breaking a face in a fraction of a second. Edit: To be clear, both 3 and 4 mark major escalations. I didn't mean to imply that only 4 was a major escalation, as many people seem to have thought I meant. I am not surprised. No joke, I was on my balcony yesterday and I see this guy walking all over the lot with his phone inches from his face...my guess is, he was playing Pokemon. Ridiculous. I was walking yesterday and saw no less than 20 other people playing in a city park. Ridiculous? No. They were having loads of fun and were talking. I personally walked almost 4 miles before I went home around lunchtime. My feet hurt, but I had gotten more morning sun, fresh air, and exercise than I had in probably a good year.